210 South Street is a luxury loft space in the Leather District in Downtown Boston. The expansive floor plan features hardwood floors throughout the space. A front entry hall leads to an expansive living room and master bedroom. High ceilings and industrial details highlight the loft bringing a sense of sophistication to the space. The kitchen features state-of-the-art stainless steel appliances amidst cherry cabinetry. Overlooking the heart of downtown Boston, 210 South Street has rare city views and over-sized windows, allowing natural light to flood the space. Just outside of 210 South Street's doorstep is convenient access to the Seaport, Financial District and the Greenway. South Station is also a few blocks away giving residents access to Amtrak and the MBTA lines to easily commute in and out of the city. To view 210 South Street and other luxury lofts in Boston contact us at bostonlofts@advisorsliving.com. 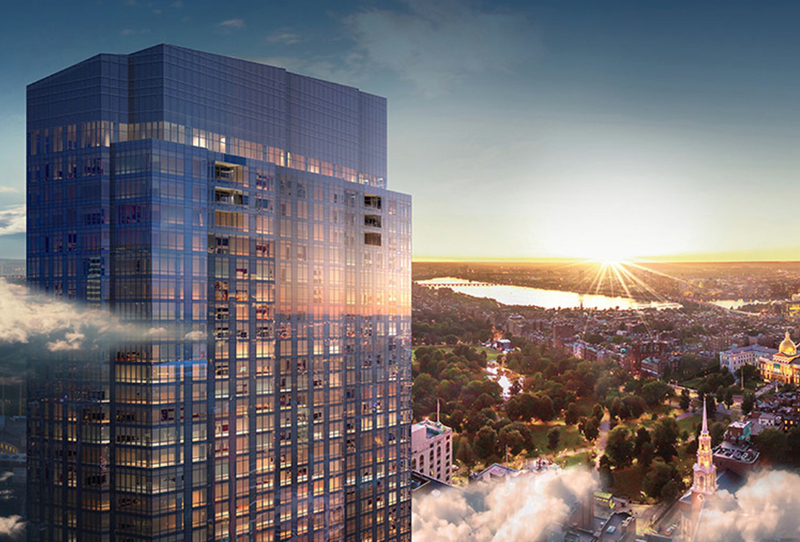 2016 will see the evolution of luxury living in the heart of Boston with the arrival of Millennium Tower Boston. The shimmering glass sculpture in the sky will boast 442 residences with unprecedented views from 685 Feet above the Boston skyline. Ranging from one to three bedroom homes, and from 759 to 12,846 square feet, Millennium Tower Boston is divided into three vertical residences: City Residences, Grand Residences and Penthouses. Each home is a masterpiece of luxury & contemporary concepts, from bespoke style Poggenpohl kitchens to Travertine baths, wide-plank flooring to 10' ceiling heights. Beyond these epic residences, Millennium Tower Boston will exceed expectations for the building's amenities. A 24-hour concierge, contemporary lounge & game rooms, glass enclosed pool & top-of-the-line fitness center, and the premier Millennium Partners exceptional social experience La Vie® will complete this neighborhood in the clouds. THE CLUB A 23,000 Square Foot amenity for residents, the Club will feature concierge services, a pool, spa, the largest resident-only fitness center in Boston, lounge, parlor, library, children's room, function room & game room. LA VIE ® Exclusive social network for residents that connects Millennium Tower Boston to the community and beyond. Created by Millennium Partners, residents will have a calendar full of inspired cultural and lifestyle events from fireside chats, to wine tastings, to VIP theatre experiences, fitness programs, food tastings, and excursions in and beyond Boston. MINA AT THE TOWER A one of a kind partnership with Chef Michael Mina at Millennium Tower San Francisco has been expanded to Millennium Tower Boston, as this James Beard Award Winning Chef will deliver incredible dining: Mina at The Tower, exclusively for residents and their guests. Bold cuisine and private services will be part of the perfect signature dining experience.